The Australian Small Business Blog: Business Plans - Essential or Useless? In battle, this is obviously true. The opposing general’s mission is to make your plan fail. In business, the opposing generals, and there are many, are your competitors. What Truman was referring to was the planning process as being essential, rather than the plan itself. The planning process looks at what is to be achieved, the opportunities and the obstacles to success, the risks and contingencies you need to plan for. Nothing is certain, and plans need to be flexible enough to be changed as circumstances change. For small business, the 80/20 rule definitely applies when planning, with 80% of the benefit being achievable with 20% of the effort, which is why I advocate a 1 page plan that’s easy to prepare and to keep up to date. Detailed planning often becomes a form of procrastination where many hours are spent on a fluffy Mission Statements (download our Mission Statements Made Easy Tool here) and then many more hours on plans so complex that they are never implemented. While planning is important for decision making, there will always be some element of risk which can never be eliminated. I rather like Richard Branson’s approach, after they have done their planning, their unofficial mission statement is “Screw it, let’s do it!” There are no guarantees. 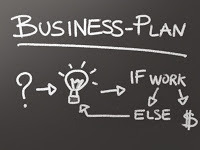 Share this article:Business Plans - Essential or Useless?